Chet Bowers in his texts and books deconstructs seemingly neutral role of language and technology in the relationships with global environmental crisis. We think it is worth to introduce on this blog this fragment of Bowers article on education and some of his items from the Ecojustice dictionary. The commons represent both the naturals systems (water, air, soil, forests, oceans, etc.) and the cultural patterns and traditions (intergenerational knowledge ranging from growing and preparing food, medicinal practices, arts, crafts, ceremonies, etc.) that are shared without cost by all members of the community; nature of the commons varies in terms of different cultures and bioregions; what has not been transformed into market relationships; the basis of mutual support systems and local democracy; in the modern world the commons may be managed and thus kept from becoming enclosed through private and corporate ownership by being managed by local and national government—municipal water systems and state and national parks are contemporary examples of the commons. The aspects of ecojustice that should be the focus of educational reforms at both the university and public level are connected with the need to reduce the impact of the industrial/consumer dependent culture on everyday life while at the same time ensuring that people are not impoverished and limited in terms of equal opportunity; the five aspects of ecojustice that have special significance for educational reformers include the following (1) eliminating the causes of eco-racism, (2) ending the North’s exploitation and cultural colonization of the South (Third World cultures), (3) revitalizing the commons in order to achieve a healthier balance between market and non-market aspects of community life, (4) ensure that the prospects of future generations are not diminished by the hubris and ideology that drives the globalization of the West’s industrial culture, (5) reducing the threat to what Vandana Shiva refers to as “earth democracy” – that is, the right of natural systems to reproduce themselves rather than to have their existence contingent upon the demands of humans; ecojustice provides the larger moral and conceptual framework for understanding how to achieve the goals of social justice. As the commons are understood as the totality of the culture and natural systems that are freely available to all the members of the community, the process of revitalization involves both the strengthening of local decision making in ways that ensures the continuation of these practices as well as reclaiming aspects of the commons that previously had been enclosed. The latter may take the form of renewing traditional agricultural practices that do not rely upon genetically engineered seeds and industrial chemicals, restoring wetlands, promoting community-centered arts that provide an alternative to the mass entertainment industry, the recovery of traditional knowledge and practices connected with the use of medicinal plants, the strengthening of the ties between local producers and consumers, the development of barter and local currency systems, and so forth. The revitalization of the commons is understood here as taking different forms of cultural expression and would be dependent upon local knowledge of place and sustainable practices. A widely held way of understanding the tragedy of the commons can be traced back to the writing of William Foster Lloyd (1832) and more recently to Garrett Hardin (1968) who explained the tragedy of the commons as rooted in the inability of the commons (forests, pastures, water, fisheries, etc.) being able to remain viable in the face of individuals whose use of the commons is driven by the desire to maximizing practices that are motivated by self-interest; unrecognized in the writings on how the pursuit of private interests makes the commons unsustainable is that the examples are of Western traditions of thinking where the assumptions about private property, the primacy of individual self-interest, and progress guided by the “invisible hand” that ensures that the most competitive survive and benefit the entire society, transforms the commons into an arena of rapid exploitation; many cultures have developed in accordance with different assumptions that have enable them to live in sustainable commons for hundreds, even thousands of years—thus the tragedy of the commons should not be understood as a natural and inevitable outcome of human/Nature relationships; challenge for ecojustice inspired educational reforms is to help students understand the short and long term consequences of privatizing and monetizing the commons, the culture assumptions that lead to private (and corporate interests) prevailing over commons interests, and to connect students with the cultural practices within their own communities that develop their skills, talents, and sense of membership within a larger community; learning about the cultural sources of the tragedy of the commons has implications for fundamental reforms in the university and public school curricula. Transformative learningA widely held way of thinking about the central purpose of educational reform—which is now being promoted on a global scale; tradition of thinking that can be traced by to progressive and emancipatory educational reformers whose thinking is based on the same Enlightenment cultural assumptions that gave conceptual direction and moral legitimacy to the past and current phases of the industrial revolution; these assumptions include equating change with progress, viewing nature as an exploitable resource or simply as the background that is irrelevant to the development of human freedom, recognizing that there is only one-true approach to knowledge—and that it should be adopted by all the world’s cultures; “philosophic” justification for viewing individual life as an ongoing process of transformation can be found in the writings of John Dewey, Alfred North Whitehead, and Paulo Freire; the scientific justification can be found in chaos theory and the theory of evolution—which are both expressions of scientism that has become an ideology; all proponents of transformative learning are ethnocentric thinkers who do not recognize that there are other cultural ways of knowing; as the metaphor suggests, transformative learning is supposed to overturn all traditions by freeing the creativity of individuals to construct their own knowledge and to determine their own values—a way of thinking that helps to undermine the forms of intergenerational knowledge that provides for living less consumer dependent lives; transformative learning is the Trojan Horse of the industrial culture that requires a rootless, unskilled, autonomous form of individualism. What students should learn about the differences between the political economy of the cultural commons and of the free-market system of production and consumption. People of all ages are awakening to a reality that has been hidden by years of seemingly limitless consumerism and the expectation of lifetime employment. This has been an evolving reality marked by increased automation, caution-to-the-wind expansion of manufacturing capacity, outsourcing of jobs to low-wage regions of the world, the breakdown in the social contract between employers and employees, and the increasing sense of entitlement that gives the heads of corporations the right to millions of dollars in compensation regardless of their performance. The consequences of these largely ignored realities are now affecting the lives of both students and adults. Unemployment and working for a minimum wage (if that is even available), the threat of losing one’s home to foreclosure, the inability to pay for health care, growing food insecurity, and the reduced hopes for further education are the realities now experienced by millions of people. To rework Charles Dickens’ famous phrase, the best of times are now turning into the worst of times. The fundamental insight that should frame the discussion of educational reforms is Herman E. Daly’s (1991) observation that while the environment establishes absolute limits on how far the industrial economy can expand, there are no environmental limits on the development of a culture’s symbolic systems (or what is being referred to here as the life and community-enhancing cultural commons). An auto-ethnography needs to be undertaken as most aspects of the local cultural commons are experienced at a taken for granted level of awareness. This will involve a careful mapping of the intergenerational knowledge and skills that exist within the community, as well as the mentors who keep the traditions alive. This will ensure that the discussion is grounded in the culturally influenced embodied experiences of the students—and not treated as an abstract textbook explanation with which few students will be able to relate. A survey of the number of people who are living lives of voluntary simplicity, as well as those who are unemployed, under employed, and retired, needs to be undertaken, along with a survey of the knowledge that people have about the alternatives to meeting daily needs through consumerism. Initiate a discussion of how the wealth of the cultural commons differs from wealth in a money economy. This discussion should also include issues related to which forms of wealth are a human right and which have to be earned in settings where equality of opportunity may be lacking. The impacts that these two forms of wealth have on the natural environment should be considered, as well as how they differ in terms of their impact on the cultural commons of other cultures. How these two different forms of wealth influence the democratic process should also be discussed. As students acquire a more embodied understanding of the differences between the cultural commons and the industrial/consumer-oriented subculture, they need to consider how transforming of the cultural commons into commodities and monetized services affects the environmental commons. How to understand the connections between the intergenerational renewal of the cultural commons in ways that reduce the adverse impact on the environmental commons and the nature of ecological intelligence is important in itself. It also establishes the basis for considering a number of misconceptions that are a threat to the local cultural commons and to the prospects of an ecologically sustainable future. Following a discussion of the nature of ecological intelligence, and how it will be expressed differently from culture to culture, there needs to be a discussion of the origins of the misconceptions that are reproduced in the meanings that most people associate with such words as “tradition,” “individualism,” “property,” “progress,” “environment,” “freedom,” “technology,” “science,” and so forth. The key question is: How have these misconceptions limited the development of ecological intelligence? The question of how different technologies, and the ideology that justifies their use, undermines the local cultural commons, as well as the diversity of the world’s cultural commons, also needs to be considered. This should lead to examining how different technologies amplify certain ways of thinking, values, and relationships while reducing others. That is, can the mediating characteristics of different technologies become part of the process of cultural colonization? Consideration should be given to how the transformation of scientific discoveries into meta-narratives that explain the development of cultures, such as the theory of evolution which is now being extended to explain cultural memes, as well as the argument made by some scientists that they possess the only valid approach to knowledge, contribute to undermining the diversity of cultural commons—and, by extension, the environmental commons of the world. There also needs to be a discussion of the background knowledge students need to possess in order to challenge the injustices that are part of some cultural commons. This would include a discussion of the background knowledge necessary for resisting various political and economic forces that are transforming the cultural and environmental commons into the private property of individuals and corporations. Invite students to consider whether the spread of ecological intelligence among the general population will be necessary if they are to have a sustainable future. Also have them consider whether ecological intelligence will lead to a radical change in how private property is understood. The changes that represent a shift away from the traditional idea of private ownership of property, ideas, and innovations also need to be discussed. Public schools and universities need to provide leadership in connecting students to the wealth of the cultural commons.This is especially important today, as real wealth is not attained by depleting the wealth of the environmental commons—the hydrocarbons, oceans and streams, soil, forests, and minerals—in order to meet the public’s consumer addiction. The first suggestion for exercising leadership is to establish a connection between the local high school and what can be called the community sustainability council. The council would consist of members of the community who possess knowledge of daily living practices that reduce dependence upon the money economy as well as have a smaller ecological footprint. The intergenerational knowledge and skills to be shared with the students through a combination of a class format and field experience would range from how to conserve water, plant eatable yards, reduce the use of electrical power, avoid the use of toxins, preserve (canning, in the old vernacular) fruits and vegetables, to preparing meals from local sources. As the knowledge and skills would be shared by members of the local community, it would reflect an understanding of the unique characteristics of the bioregion. For example, knowledge about how to increase the number of pollinators and diversity of birds, as well as the types of vegetables that thrive in different seasons and in different soils, would have practical benefits. On their own, students are not likely to learn the knowledge and skills accumulated by the long-term inhabitants of the region. And as the money economy continues to slide, along with how automation reduces the need for workers, the students will begin to recognize that greater dependence upon the knowledge and practices that sustain the local cultural commons is a way of escaping the debilitating impact of economically driven poverty. Enable the unemployed and under-employed to contact various mentors in the community who are engaged in cultural commons activities—ranging from food security, creative arts,craft knowledge and skill, to volunteering, and developing social organizational skills. The first step would be for high school students to conduct a survey of the mentors in the community, as well as the different activities that are part of the local cultural commons. When the unemployed and under-employed are able to network with others in the community, they will be more likely to discover interests, talents, and the benefits of community participation that they did not have time for when they were caught in the cycle of working in order to consume, and to prevent a further slide into debt. Enabling members of different social groups to share their knowledge of how to prepare nutritious meals from locally available basic ingredients that can be obtained at a fraction of the cost of the processed foods handed out by food banks. This will empower people with the knowledge and skills necessary for meeting their nutritional needs with basic ingredients that ethnic groups have relied upon in the past. It will also provide a community alternative to the current practice of distributing packaged foods to the unemployed that contain many unhealthy chemicals. Enable farmers to communicate with others in the community about when their fields and orchards are open for gathering free vegetables and fruits. A computer network that connects local farmers with a community clearinghouse for those in need would be especially important, as well as ensuring that a manageable number of people visit these farms. Enable people who have already made the transition to voluntary simplicity, or have less need for an income connected with full time employment, to communicate their willingness to engage in job sharing. The network would enable people seeking part-time work to communicate with people willing to make the transition to part-time employment. There will be a number of issues, depending upon the nature of employment that will need to be worked out and agreed upon. The dominant issue, however, is to strengthen the sense of community by helping reduce the level of unemployment and hopelessness that will continue to be a problem as automation, downsizing, outsourcing, and economic systems continue to undergo change. thus restoring the traditional understanding of the market as an exchange of goods and services that enhance the self-sufficiency of the local community. Enable individuals and groups needing some form of assistance to communicate with members of the community who are willing to volunteer their time and energy. As is often observed, new opportunities emerge during life-altering crises. We are now facing the consequences of excessive consumption, the production of goods that far exceeds the needs of sensible people, and financial speculation driven by pure greed. The major disruptions caused by these excesses are occurring at a time when further automation is likely to leave many more people below the poverty line—or perilously close to it. We are also on the cusp of environmental changes that will create even greater challenges, as the scale of environmental change will lead to vast numbers of people here and abroad becoming environmental refugees, as the ecosystems they previously relied upon for their livelihood become too degraded to support even a subsistence lifestyle. There are increasing references in both scientific journals and the media to the need to introduce changes that will slow the rate of environmental degradation. Unfortunately, most people still give only lip service to making changes, and the changes they do make are largely limited to recycling their trash into the proper disposal bins. Progress is being made in introducing new energy-efficient technologies and retrofitting buildings. Expressing concern about the environment, which for many is little more than giving expression to what is politically correct, is nevertheless a sign of an opening to learning about the important challenges that lie ahead. Too often, the inability to act on current understandings about changes in the Earth’s natural systems is a result of an educational system that indoctrinated people with the ideas and values that are now failing us. The local cultural commons do not have to be created by government, nor is their existence dependent upon implementing the abstract theories of academics. They can be traced back to the earliest human societies, and they continue to exist even in the most oppressive circumstances. Religious groups are now struggling to correct a myth of creation that represented, in one powerful account, that “man” was put here to name and subdue the natural world. Even real-estate professionals must now pass a test on the sustainable characteristics of the houses they are trying to sell. Ironically, their awareness that houses must now meet environmental codes is way ahead of the thinking of most public school teachers and university professors. Aside from the small number of environmental educators, and a minority of faculty in colleges and universities who are pushing the boundaries of their areas of inquiry in ways that address environmental issues, the vast majority of faculty who have the potential for influencing young minds, especially professors in colleges of education, seem unable to recognize that the modernizing paradigm they learned from their professors does not lead to understanding the solution. The emphasis on individualism and progress, along with the measurement and control technologies that still dominate the field of teacher education, continue to perpetuate the silences and prejudicial language that make the non-monetized and intergenerational-connected activities and relationships within communities appear as sites of backwardness. The previous discussion of the political economy of the cultural commons is intended to address some of the silences that still contribute to teacher educators thinking that the ecological crisis is being met by scientists, technologists, and environmental educators who are, in many instances, limited in their understanding of the cultural roots of the ecological crisis. While learning how to foster the ecological intelligence of students will be a major challenge, especially since the practice of ecological intelligence requires abandoning many Enlightenment assumptions, encouraging students to learn from the people who are sustaining the wealth of the local cultural commons should be much easier - particularly when it involves face-to-face relationships and mentoring in activities that fosters the students’ self-discovery of community-centered interests and talents. Nothing new needs to be invented and promoted. Rather, the role of public schools and universities in revitalizing the local cultural commons requires putting aside certain misconceptions inherited from earlier thinkers who were addressing an entirely different set of problems, and giving attention to the local practices that have not been monetized--and that have a smaller adverse impact on the environment. Auto-ethnographies, the importance of face-to-face intergenerationally connected communication, and a greater sensitivity to the kinds of experiences that enable students to discover talents, as well as who they are as members of a community, is the way forward. And if teacher educators, and professors in the other areas of educational studies, can make this turn, perhaps they will then help students obtain a different understanding of wealth - one that takes account of what is shared with others and is personally fulfilling in ways that differ from owning what has been industrially produced for a mass market. Whether faculty in the social sciences and humanities begin to address the cultural roots of the economic and ecological crises, and the ways they have been complicit in the globalization of the industrial/consumer-oriented culture, is still problematic. 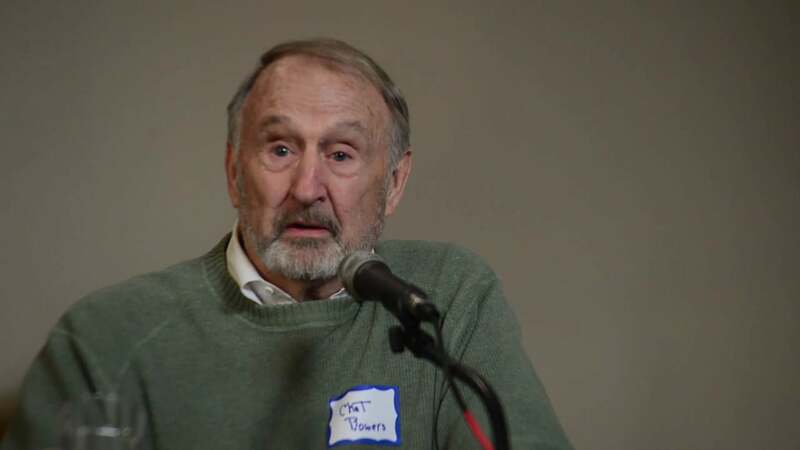 Chet Bowers wrote his first book on the connections between education, cultural ways of knowing, and the ecological crisis in 1974. The title of the book was Cultural Literacy for Freedom. Since then he has written over 110 articles, with 22 books appearing with various publishers. This phase involved an examination of how language reproduces ways of thinking that were formed before there was an awareness of ecological limits, and the connections between emancipatory/transformative ways of thinking and the globalization of the West’s industrial culture. More recent articles and books that have been put online focus on the educational implications of eco-justice for Third World cultures, the prospects for future generations, and the need to revitalize the world’s diverse cultural commons as sites of resistance to economic globalization and further environmental degradation. These more recent writings have led to a series of recommendations, including the need for universities to establish a department of cultural commons studies and a wider understanding among classroom teachers and university faculty of how to promote ecological intelligence. The latter has required clarifying how the modern vocabulary that reproduces many of the misconceptions and silences of earlier thinkers can be reframed by introducing students to culturally and environmentally informed analogs, and to the colonizing effects of the West’s penchant for print-based abstract thinking. Attention has also been given to explaining how classroom teachers and university professors need to understand their role as mediators in helping students recognize the ecological differences between their cultural commons and consumer-based experiences. Strategies for dealing with various forms of resistance to promoting culturally transforming ecological thinking, including the current misuse of academic freedom, are also discussed.